Double Numbers - A Guide to Exploring their Original Meaning! Double digit numerology is perhaps one of the trickier stages to come to terms with. Understanding how to calculate certain numbers (such as an expression number or birth-date number) can seem complex at the time but often the actual process is relatively simple. In this article we’re going to explore the next level of numerology which involves tracing a meaning back to its roots: the double numbers. 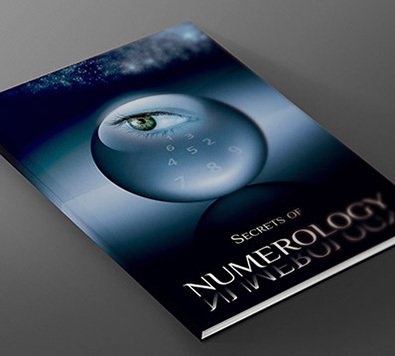 Double number meanings can be complex but with this help of this guide you will at least have all the necessary tools for exploring the numerology double numbers can offer. I’m sure that you understand the difference between a single digit and a double digit but just to clarify: a single digit is one number e.g. 3 whereas a double digit contains two numbers e.g. 13. Before we can explore double numbers numerology, we have to have a grasp of the basics of numerology itself. This includes understanding core numbers and the process of reducing. Without understanding both of these steps it would be incredibly difficult to understand any double number meaning. Numerology involves precise calculations and misunderstanding one step (even just enough to lead to one incorrect number) is enough to give you an entirely incorrect reading. So let’s touch momentarily on core numbers and the technique of reduction. A core number is a single digit number (1-9) that is used to reflect the deepest possible meaning of whatever you’re investigating. The problem is that when carrying out any calculation, we tend to leave the single digits behind pretty early. If we use your sun number as an example, this is calculated using your birth day and birth month. By combining the two numbers together, you get your sun number. However, in this example if you were born after the 9th of any months or after August then your total would be above 9. Say you were born on August 13th then the calculation would be 8+13 which gives us 21. Obviously 21 isn’t a single digit number and so we can’t investigate the sun number as they only range from 1-9. This is where we reduce. Reducing is the technique whereby we take double digit numbers and convert them into single digits. We do this by adding the digits together e.g. 21 would be 2+1 which gives us 3. So how does all of this relate the spiritual meaning of double numbers or the symbolism of double numbers? Well, where certain core numerical values can be obtained simply through reducing (such as the sun number), this isn’t always the case. Some calculations involve the process of reducing but without forgetting about the original numbers. This gives any double numbers meaning a whole new level to explore and for those new to numerology, it can all become a little confusing. If we break the process down piece by piece then you’ll begin to understand it a lot easier. Imagine that we’re looking for information surrounding an individual and one of the numbers we have available to work with is 37. We can’t examine 37 on its own without reducing it down to its core numbers: 3+7=10, 1+0=1. So we would get a core value of 1 but what about the double numbers? We have two double numbers to work with here and so there are two things we have to consider before exploring additional meaning. Let’s take a look! If we stick with the previous example, we have 3 different numbers in total. We have the original number 37, we have the reduced number 10 and we have the core number 1. Exploring the core value is straight forward as there are only 9 to choose from but what about the double numbers, which one do we examine? When trying to explore the added meaning of double digits, we can only go as far back as those digits allow. For example, if we have the number 156 and we reduce it to 12 and then again to 3, we only have the numbers 12 and 3 to work with. However, in our example with 37, we would focus more on the original number (37) and consider the reduced number in passing (10). Exploring the roots of any core number offers a different perspective. For example, if we have the number 27 and 36, these both represent a core value of 9. Does that mean that both of these numbers are essentially the same? Not at all, the 27’s core 9 has roots of 2 and 7 while the 36’s 9 has roots of 3 and 6. Many people will express core numbers with their root numbers included such as 36/9 or 27/9. What Does This Mean Double Numbers? So what does all of this actually mean? Well, it means that for any core number that was reduced from a double number, you can explore multiple core numbers to expand your meaning. If the original number was 27, you can explore the number 9 while considering the number 2 and the number 7. This ultimately allows for a more detailed understanding of any given number as it wouldn’t make sense if every number imaginable could simply be boiled down to one of nine meanings. Hopefully now you have a deeper understanding of this level of numerology.